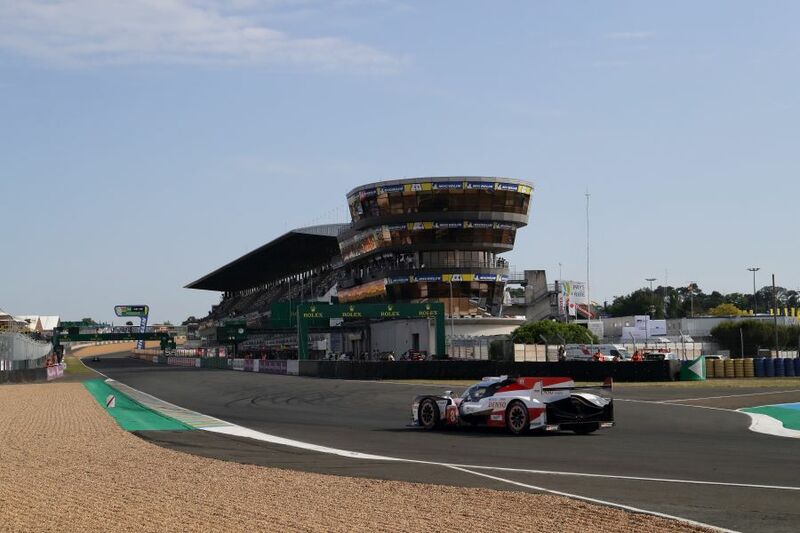 Fernando Alonso set the fastest time (3.19.066) in the #8 Toyota TS050 Hybrid during the two-day official test for Le Mans 24 Hours race at Circuit de la Sarthe. The world’s greatest race at the iconic 13.626 km long circuit is scheduled to take place on June 16-17. It’s no surprise that Toyota Gazoo Racing’s hybrid LMP1 prototype, which Alonso was sharing with Sebastien Buemi and Kazuki Nakajima, dominated in the test but it’s a surprise that the second-fastest car was the #3 Rebellion R13-Gibson of Rebellion Racing, driven by Mathias Beche, Thomas Laurent and Gustavo Menezes. 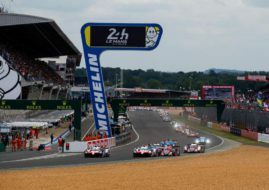 The #7 Toyota, driven by Mike Conway, Kamui Kobayashi and Jose Maria Lopez, was the third-fastest car, ahead of #1 Rebellion. SMP Racing’s BR1 LMP1 prototypes were about two and half seconds behind the fastest car while other LMP1 prototypes were far behind. CEFC TRSM Racing’s Ginetta LMP1 is even slower than several fastest LMP2 cars. The fastest LMP2 crew at the official test was in the #31 Dragonspeed Oreca 07-Gibson. The drivers are Roberto Gonzalez, Pastor Maldonado and Nathanael Berthon. The #31 Orca was just 0.024 sec faster than #48 Oreca of IDEC Sport. Among GT cars, the fastest were two Porsches. In the end, the #93 Porsche 911 RSR has o.096 sec faster time then the #91 car. Porsche 911 RSR was also the fastest car in GTE Am class. The #77 Dempsey-Proton Racing’s Porsche defeated two Ferraris.